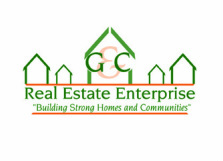 G & C Real Estate Enterprise provides everything from real estate services to property management in Newark, New Jersey and the surrounding communities. We provide the highest level of service to empower our community. We are a true one-stop-shop for homeownership service. We employ licensed real estate agents, construction teams, maintenance personnel, and property managers. We’ll help you with everything from routine home maintenance to building renovations. Because G&C has architects, general contractors and other professionals on hand to supervise the renovation activities, the risk, costly headaches and delays often associated with outside vendors and subcontractors are severely reduced or eliminated.